In my experience some people resist change in their professional lives, even if they are unhappy. They don’t want to benefit from taking on a new way of thinking, after a change to their circumstances. Or they may feel that ‘at their time of life’ change is not possible and they have to put up with bad situations. I think those people may be missing out. That is especially true if the person is in a junior job role and change has happened around them, meaning their expectations about their working environment – personal development; pay rises; job security – are not being met. This is true in the private sector and, the Daily Telegraph’s Jobs Editor Louisa Peacock suggests, amongst civil servants. Hopefully senior managers already have, or are actively being coached to develop strategies to counteract the dip in staff morale that results from unmet expectations. 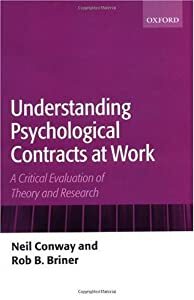 “When an employee believes that [their] organisation has failed to deliver its promises on a regular basis, he or she will question whether it makes sense to continue contributing to that organisation or whether it might be better to move on to another”. The new look People Management magazine this month includes a feature on ‘Eight Ways To Reward Staff, Without Giving Them A Pay Rise’. I like the simplicity of their final suggestion: try to say ‘thank you’ to others for their contribution. The article suggests literally writing notes of appreciation and leaving them with colleagues who have done a good job (I can remember from personal experience how a simple act of appreciation can put a smile on someone’s face). The magazine says this concrete expression of gratitude is an echo of Tom Rath’s and Donald O Clifton’s approach to combatting workplace negativity, set out in their book, ‘How full is your bucket?’. I like the idea and I am going to try it out the next chance I get.